Thank you for helping make 2013 an eventful and productive year for us at Rainwater HOG! From magazine-worthy green home renovations to a clever green roof irrigation system for a home in the Chicago suburbs, and from a school garden in New Jersey to our inclusion in TEAM ASUNM’s SHADE Home design at the Solar Decathlon 2013, we’ve had an exciting year! The HOGs are a great product and a very clever design. 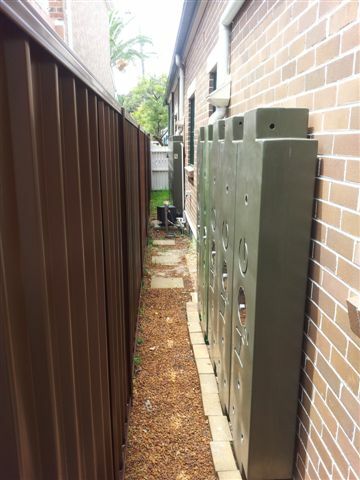 With only a narrow gap along the side of my house which would have otherwise been unable, the installation of the tanks there has been of real benefit. The post-sale care and service of the HOG team has been fantastic and I could not be happier with this product. I was looking for a system that would be able to sit as flat against the wall as possible, which could easily form and array and where the integrity of the connectors was paramount. – Jack Griffith, Egg Harbor City Community School (EHCCS) principal, on two Rainwater HOG tanks for the edible school garden. The streets of Oak Park, Illinois, a village adjacent to Chicago’s west side, have been witness to architectural legends. Frank Lloyd Wright spent the first twenty years of practice in his Oak Park Home and Studio. That spirit of architectural innovation and a commitment to sustainability continues in Oak Park today. 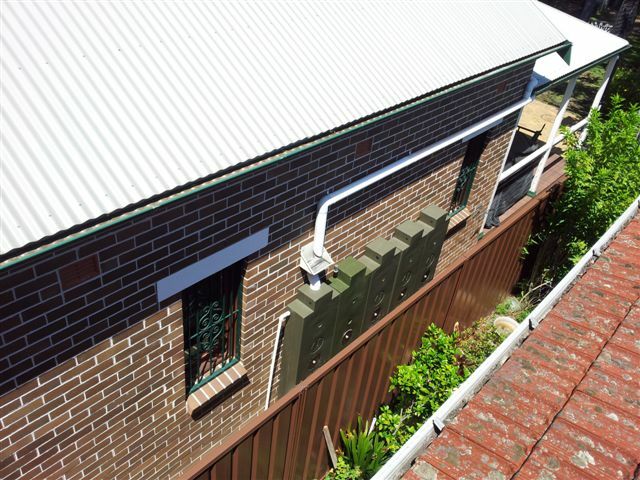 One residence, belonging to the Brietzke family, has recently installed a rainwater harvesting system that seamlessly marries high and low in the rainwater harvesting market. 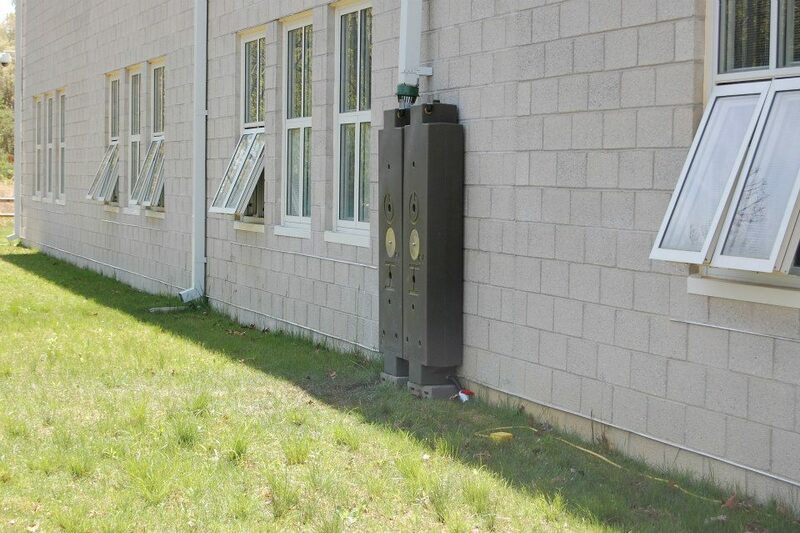 image via Greenheart Buildings, Inc.
“I was looking for a system that would be able to sit as flat against the wall as possible, which could easily form an array, ” says Michael Ruehle of Greenheart Buildings, Inc. who oversaw the installation. Two Rainwater HOG tanks were selected by Ruehle to complement the six 55-gallon plastic barrels already in place. He installed the system to share water across each unit equally. 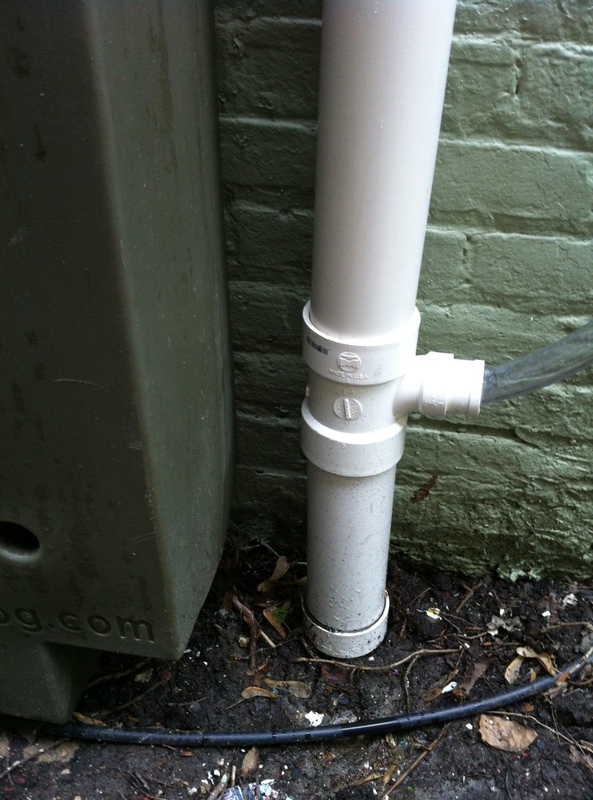 For nine months out of the year – from March through November – the harvested rainwater will water the garden and feed an as-yet-to-be-installed backyard pond. 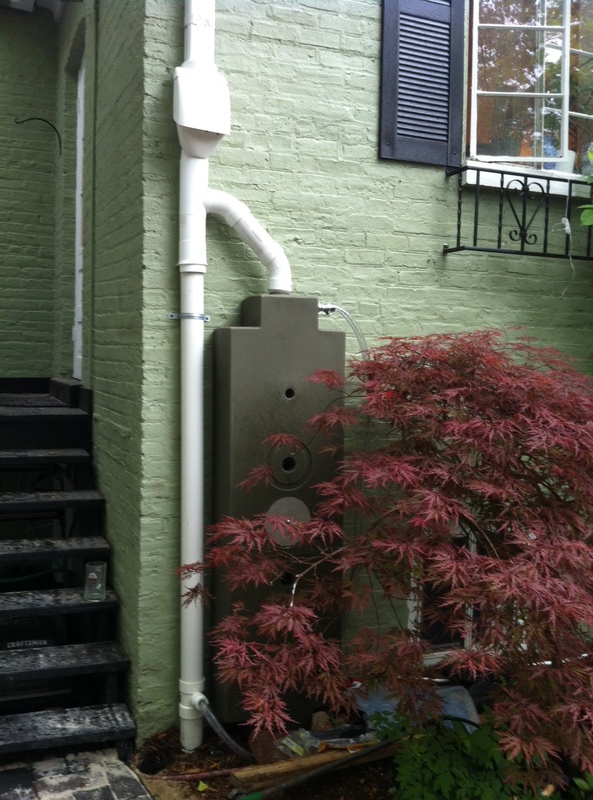 Ruehle estimates that the capacity – 440 gallons – of the eight-unit system is enough to capture 100 percent of the average rainfall, or about 15,000 gallons per year. “I go to nature every day for inspiration in the day’s work,” said Frank Lloyd Wright. The Brietzkes need only look to their backyard to hear an echo of the renowned architect’s words. Rainwater HOG is a standout in The Rain Barrel, Reinvented section of Tricia Edgars’ new overview of revolutionary ways to store rainwater on Kalev.com. 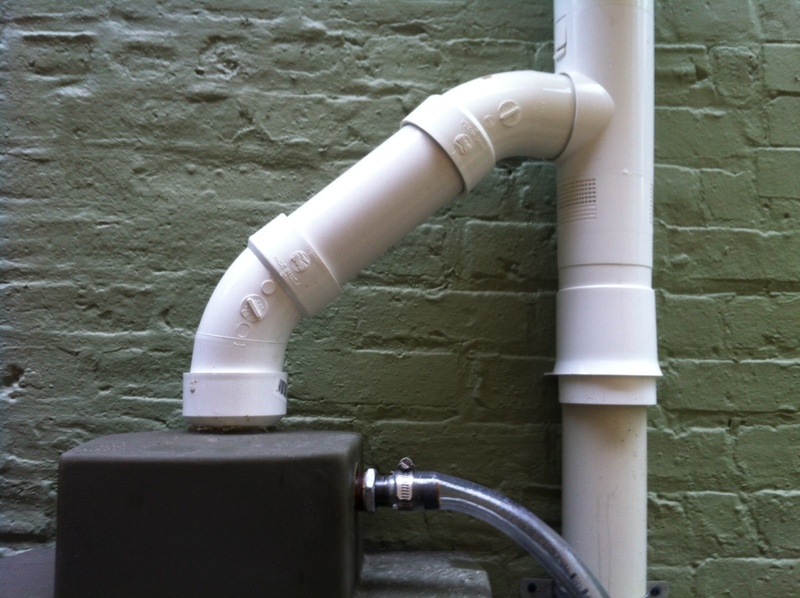 We’re in good company with friends like RainSaucers, the stand alone water funnel that frees water collection from the downspout. “This Syria disaster is like a superstorm. It’s what happens when an extreme weather event, the worst drought in Syria’s modern history, combines with a fast-growing population and a repressive and corrupt regime and unleashes extreme sectarian and religious passions, fueled by money from outside powers…” This is worth a read! This May, we’re not holding back with news and events: Sally Dominguez to present at the Marin Home & Garden Expo, an ARCSA rainwater catchment survey, a NY-ASLA presentation on Reimagining School Grounds; case studies: Egg Harbor City Community School brings HOGs to an edible classroom; and, last but not least, our B.U.G. Design feature: Mill Valley Green Home. 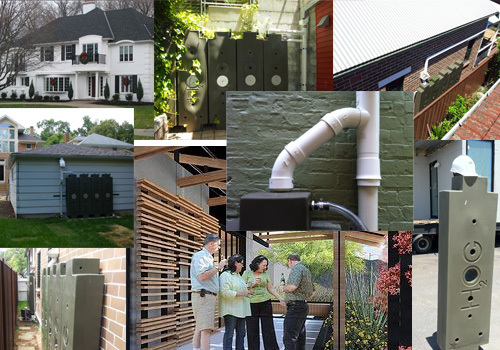 We’re taking a sneak peek at material from Sally’s upcoming talk on innovative rainwater harvesting at the Marin Home & Garden Expo. Don’t expect a humdrum how-to with barrels and HOGs; Sally has combed the world for some of the most innovative planting, plant filtering, rain collection and reuse solutions, from PET bottle downspouts in the slums of India to giant ceramic inverted umbrellas in Singapore. Here is just a drop of what Sally has in store for her presentation: check out the Petal rain-collecting drink bottle attachment, downspouts as plant-filtered art installations, and an edgy rain-collecting planted mailbox. Click on each picture for more information. 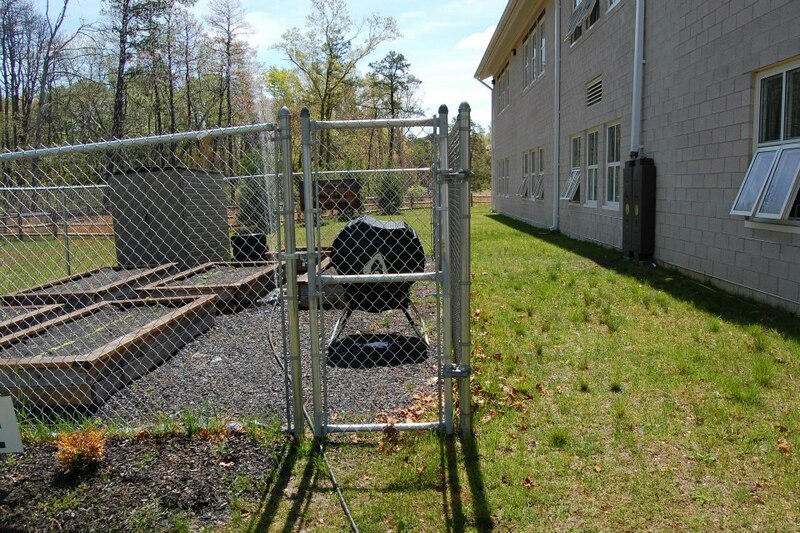 “This is an awesome addition to our school garden!” exclaims Egg Harbor City Community School (EHCCS) principal Jack Griffith about the recent installation of two Rainwater HOG tanks. Two 50 gallon tanks were installed in March 2013 to capture rainwater for EHCCS’s “edible classroom” – a school garden that students have filled with snow peas, broccoli, lettuce, tomatoes, zucchini, beets, and peppers. One of the special education classes supplemented the veggies with a herb garden of basil, chives, cilantro, parsley, rosemary, sage and thyme that they maintain weekly. Katie Sementa, Project Director of the 21st Century Community Learning Center – a federally funded program that partners with EHCCS to provide students in low income areas with before and after school care – was instrumental in bringing rainwater harvesting to the school. She applied for and won a $1,000 Water Works Grant from the Atlantic Care Foundation for the 4th through 8th graders attending EHCCS. The students, who are already putting the HOGs to work watering their garden with rainwater, will maintain a record of how many gallons the two tanks collect in the eight months out of a year (from April through early November) that they are in use. Tree stump seats and tables for outdoor classroom accessibility will be arriving in time for garden bloom and harvest to spruce up an edible classroom that teaches health, wellness, and sustainability. More pictures to come! In his book Imagine: How Creativity Works Jonah Lehrer examines the intricacies of how the human mind creates, from ‘a ha’ moments of epiphany to the way centralized bathrooms help foster innovation in the business environment. Starting with the neural pathways of the brain, and ranging from cultural and historical moments of genius to the benefits of urban friction in modern cities, Lehrer is a nimble guide down the oft-divergent path of creativity. In a footnote, Lehrer remarks, “Architecture has real cognitive consequence.” We think Thomas Hardwick’s Seed Cathedral is an example of consciousness-shifting architecture worth seeing. Speaking of, this month we’re substituting a B.U.G. Design feature – our monthly creative sustenance – for a timely Ask Dr. HOG feature. Earthquake-prone California and large steel water tanks don’t mix, especially on the playground. Find out why from architect Sally Dominguez, HOG inventor who moonlights as our resident Dr. HOG. Sally has recently been named ambassador to the humanitarian nonprofit Engineers Without Borders Australia. If you’re in California the first weekend of June, you can catch her making a case for rainwater harvesting – “Good for the plants, good for the planet,” she says – at the Marin Home and Garden Expo. The ever-expanding Austin musical festival that is South by Southwest (SXSW) had the web (and us too) all abuzz this March. One musician’s name kept surfacing, in part because of a recent TED talk she gave called “The Art of Asking.” Amanda Palmer and her band, Grand Theft Orchestra, raised an unprecedented amount of money through KickStarter for a new album. “Hell is a place where nothing connects with nothing,” T.S. Eliot wrote in an introduction to Dante’s Inferno. Lehrer opens Imagine with this quote and proceeds to demonstrate with example after example that the best way of coming up with something from nothing – the definition of creative problem solving – is to make unexpected connections across diverse fields of knowledge. It is as a connector that Amanda Palmer envisions a musician at her most successful. She says, “For most of human history, musicians, artists, they’ve been part of their community, connectors and openers, not untouchable stars.” To get a sense of her ability to connect in action, check out how she crowdsourced a SXSW showcase and panel in under 24 hours. We strive to connect-the-dots in unexpected ways and bring new perspectives to you in The Whole HOG. The Amsha Africa Foundation’s project to bring rainwater harvesting to rural Kenya makes us think about the value of water differently. Keep reading to find out more.